Payment Link - Saving/Checking Acct. Welcome to POP Kids School. Are you looking for a safe, nurturing, and creative Christian preschool that will prepare your child for Kindergarten? 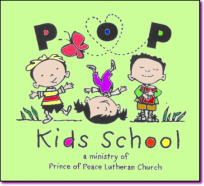 POP Kids School is the perfect place for your child to grow their academic, social, and spiritual life!